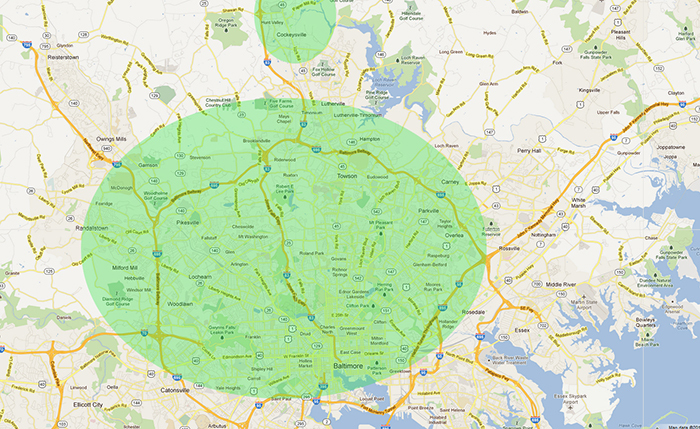 We are expanding our coverage zone. Below you will find the areas we currently service. If you don’t see your neighborhood listed don’t despair! Call us first; we may be able to drive out to you, depending on the area and the repair. Diagnostic fees may apply; you’ll be alerted to any charges over the phone before we come out to you. Cockeysville | Downtown Baltimore | Pikesville | Randallstown | Rosedale | Towson | Owings Mills | Villa Nova | Woodlawn | And More!